Silent Auction, Basketball Game, Drum Choir, Cheerleaders and More! HOOPLA is our one big PTO fundraiser for the year. No door to door sales, no wrapping paper or cookie dough-just one night of super fun! Please donate an item for auction to help raise funds to support our school. We are looking for one of a kind items. If you a crafter, baker please send us your wares! If you have a business or have skills to provide a service as an auction item let us know! As you are out and about in town ask businesses you shop at for a donation. Your creativity will make HOOPLA a success! We are looking for a couple of volunteers to take over the auction committee. Please contact one of them or a PTO board member for more information! Kimbrough – Gift Cards Galore! Doors open at 6:00 p.m. Game starts at 7:00 p.m. Items Due By October 31! The 2016 Hoopla was a big hit! 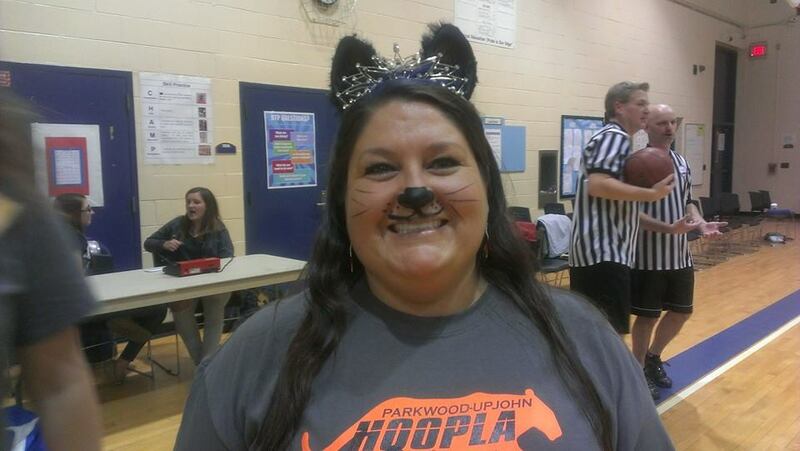 Thank you to the volunteers, Parkwood Upjohn staff, and Loy Norrix staff for helping to make Hoopla rock the house! If you had a great time and have ideas to help us improve, let us know. We’d love to hear your feedback on how to grow the event! It is the BIG fundraiser for the PTO to raise money for items such as special assemblies, books for the library, field trips, classroom resources, teacher grants, Family Fun Nights, and playground maintenance. Volunteer to help set up and tear down on day of event CLICK HERE FOR SIGN UP! Contact a PTO Member to help out! 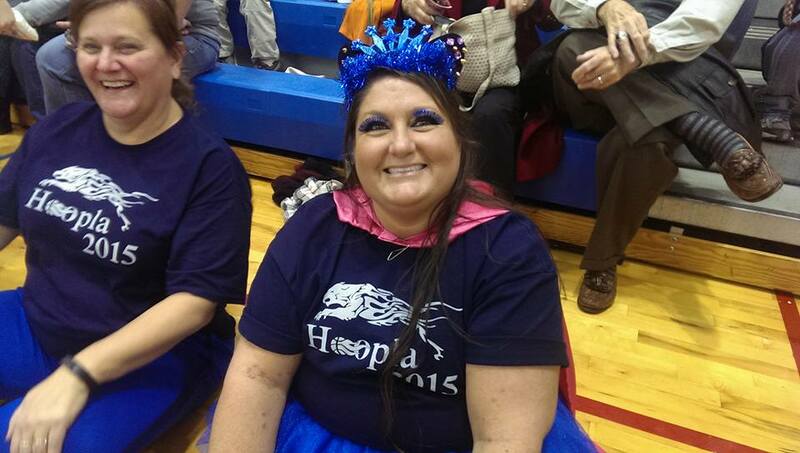 Thank You for Making Hoopla 2015 a Success! HOOPLA t-shirt sponsor! We really appreciate it! Wow! What a fun night! 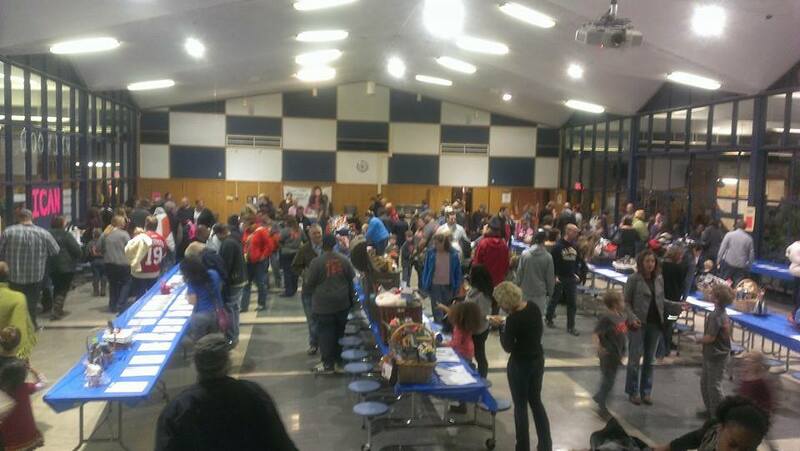 The PTO wants to thank all the volunteers who helped in the many areas. Without help, we could never pull off such an event! Thanks to those who donated items! It was great seeing kids look over class baskets and being excited about their class involvement in Hoopla. Our cheer team and drum choir rocked the house as always! Thanks, teachers, for showcasing your hoop talents! What great face painting! And thanks to our caricature and temporary tattoo artists for their donated talent! Join us Friday, November 7 for Parkwood-Upjohn’s biggest fundraiser of the year! This year’s Hoopla is sure to be fun for the whole family! Come bid on auction items! 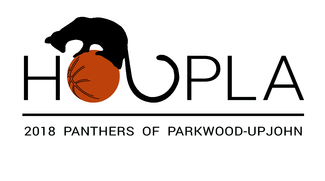 Attend the fun basketball game between the Parkwood staff and the Maple Street and Milwood Middle staffs. Have your face painted! Enjoy dinner as part of the 5th grade fundraiser for Sherman Lake! Information on Hoopla is now available online! Download a copy of the Hoopla Donation Form. 6:00 pm Doors and auction open! WHO: Fun for the whole family! If you can help with any of these positions, please send me a private message or email at dawnpaulsenwright@gmail.com. Thank you! Be sure to bring your child’s classroom Hoopla basket items in this week. ALL AUCTION ITEMS DUE NOVEMBER 3. Questions about auction can be directed to Susan Pritchard. We still need a few volunteers to help with setup at Milwood Middle between 2:30 and 5:30. If you can give some time, contact Dawn Wright. Volunteers! If you filled out a Volunteer form in the past month, GREAT! You’ll be hearing from a captain of that area to get details on what you need to know, when to show up at Milwood Middle School on November 7 and other important information. Haven’t signed up? We have room for your time! Let us know! Auction Items! It takes a TON of auction items to bring in revenue for the event! What items can you donate? Gift certificates (restaurants, spas, home improvement), memberships to area attractions (Nature Center, YMCA), items (past items have included coffee makers, grills, and bikes), handmade items (canned veggies, handmade scarves, paintings) and other items. Be creative! Ask businesses you frequent if they will donate to the school’s only fundraiser of the year. T-Shirts! T-shirt orders are due Friday, October 10. We are looking for business sponsors as well! For $200, your business logo will be on the back of the fashionable Hoopla wear for years to come! Plus we make a big deal about our business sponsors at the event and afterwards as well. Money and logos are due by October 10. Basketball! Everyone loves a little competition! 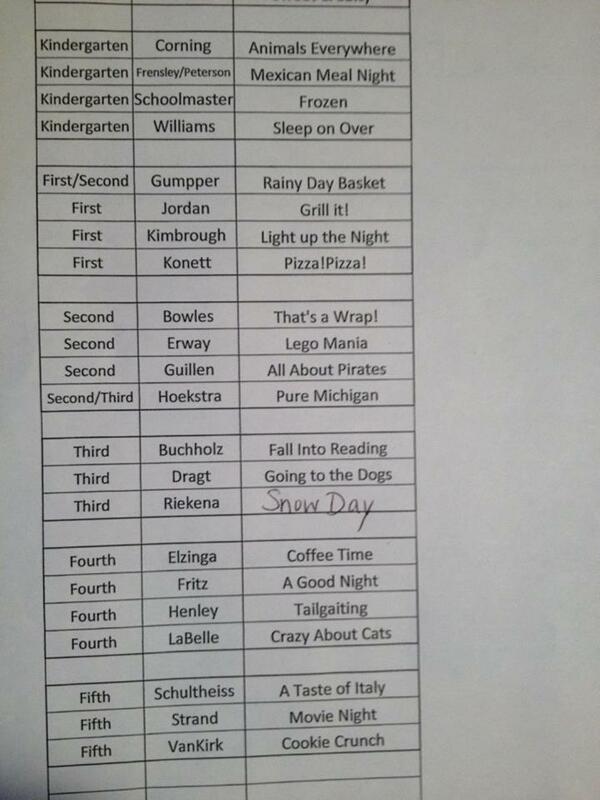 We have it that night between the teachers of Parkwood and the staffs of Milwood, Maple, and others! Special guests will be there hooping it up! Our own Parkwood cheer team is practicing to entertain everyone. Come support this great fun! Got questions? Want to get involved? Have an idea about the night? Share it with us! Email us or get in touch with a PTO Staff Member.